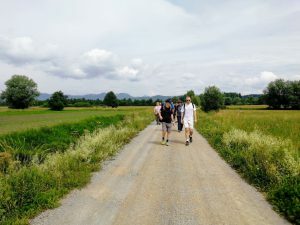 Cross-border startup networking and hiking: Let’s go together! 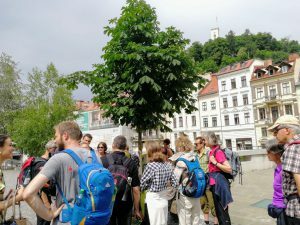 On Friday, 8 June 2018, a bus-full of cross-border Slovenian and Austrian startups, representatives of the startup ecosystem and other stakeholders embarked on a networking event with a twist. 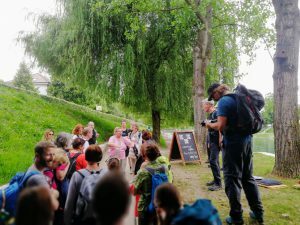 When the group of cross-border startup hikers arrived to Blatna Brezovica near Vrhnika, they began their walk along Ljubljanica, the river of seven names. 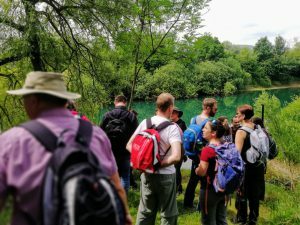 This is due to the fact that the Karst geological structure allows the river to disappear in various places and reappear somewhere else, not giving any clue that it’s the same water. 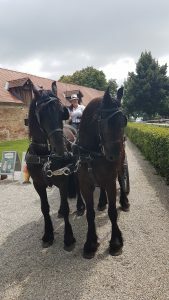 Hence, Ljubljanica is also known as Trbuhovica (on the Croatian side of the border), Obrh, Stržen, Rak, Pivka and Unica. 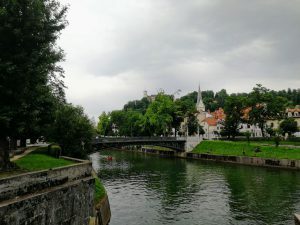 From the ancient times up until the middle of the 19th century the Ljubljanica river, which spreads out through idyllic marsh lands and has a very low inclination, ruled as the main traffic artery between rural and urban areas. 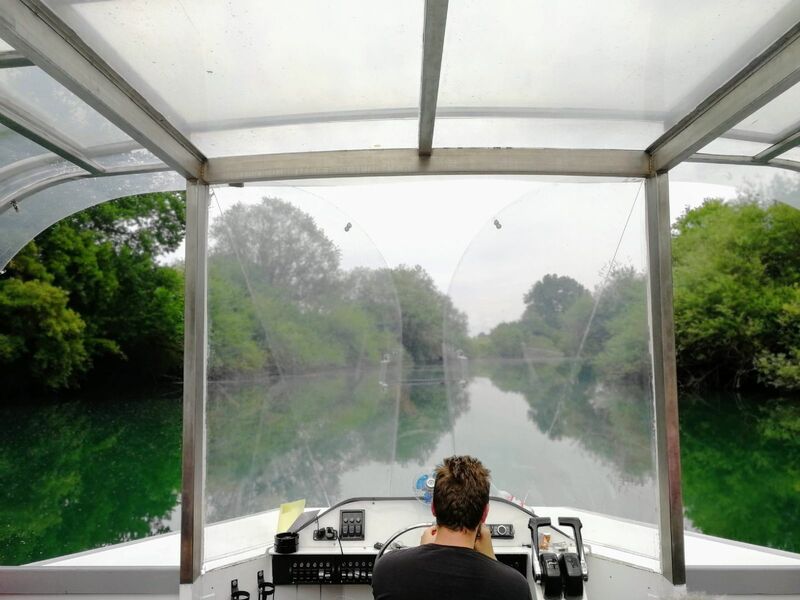 When boarding the river boat at Podpeč, the group had the opportunity to see the river setting change from an almost jungle‑like growth to a very urban regulation at the Ljubljana popular spot Špica or Gruber Canal, which leads to the heart of Old Town Ljubljana. 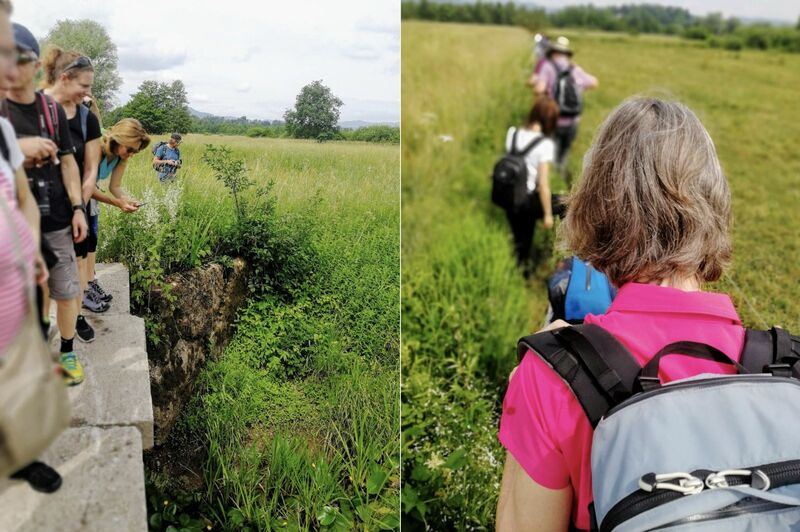 Switching from nature to city, the hikers took advantage of sightseeing the busy city life of the Slovenian capital (it was Friday, after all), saw the main tourist and architectural attractions and found out why Ivan Hribar was the Mayor of bridges. 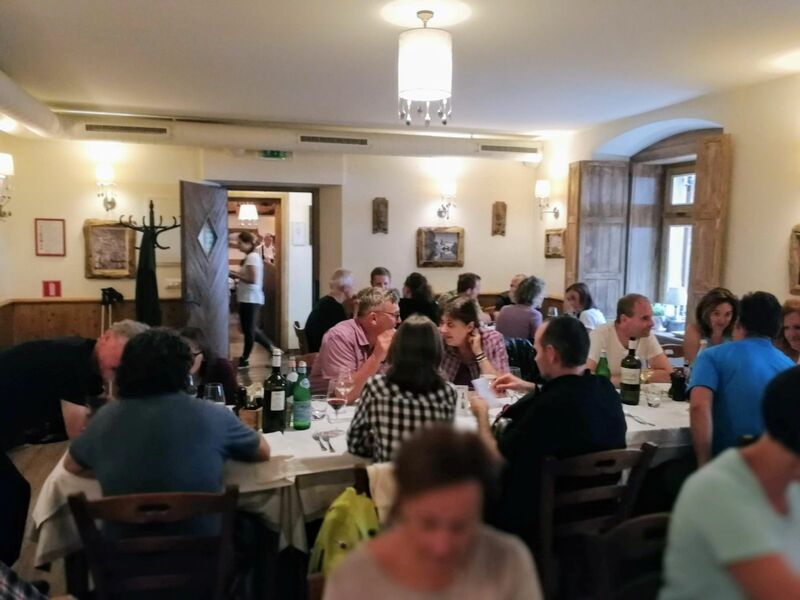 To end the river‑themed day, the group sat down at Ljubljana’s restaurant Most (Bridge) and enjoyed their renowned fish dinner. 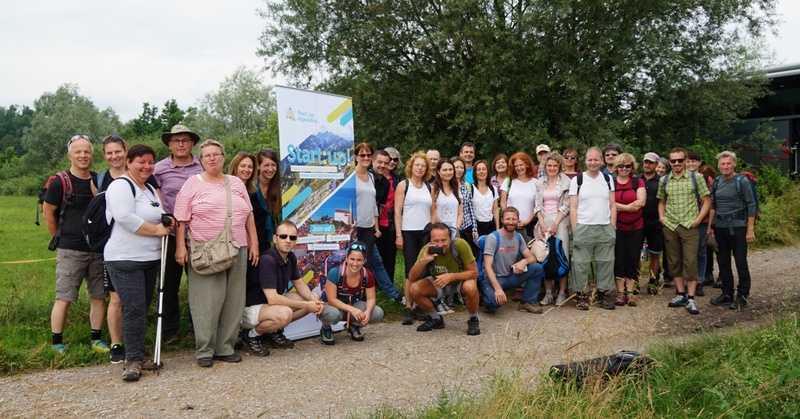 The day was dedicated to bringing startups, representatives of startup support organizations and other stakeholders together in an informal environment, join them in enjoying nature and learning something new. The relaxed environment was perfect for discussing future projects, AI, ICO and other trending topics and making plans for future collaborations. 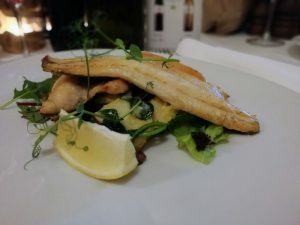 The river‑themed day was concluded by a tasty fish dinner in the Most (Bridge) restaurant. A truly poetic end of the event.  http://www.si-at.eu/en2/wp-content/uploads/sites/8/2018/06/SLIKA-1.jpg 628 1200 natmaj http://84.39.218.252/en2/wp-content/uploads/sites/8/2015/10/interreg_si-at_en115.png natmaj2018-06-18 10:29:542018-06-18 10:42:17Cross-border startup networking and hiking: Let’s go together!